Last week, one of the most divisive films of 2017 landed on Blu-ray and streaming services like iTunes and Vudu. 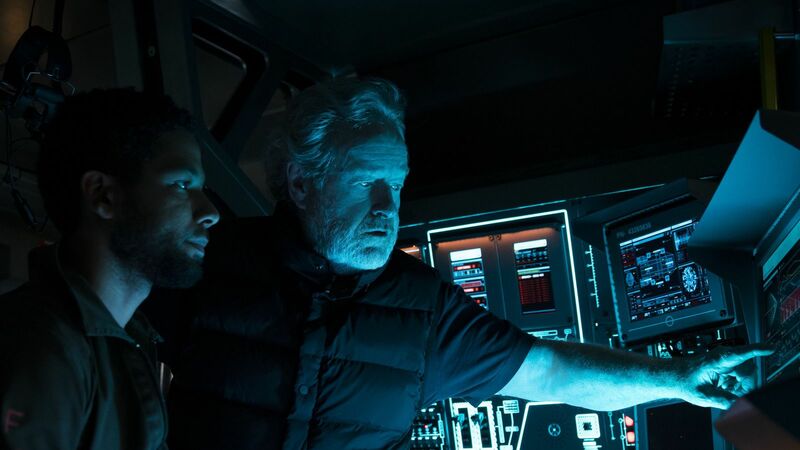 There have been a few conversation starters this year, including “The Beguiled,” “Okja” and “A Cure for Wellness,” but I believe I’ve been in more heated conversations about the latest from Ridley Scott than any other film. People who dislike it, really dislike it, usually falling back on criticisms about moronic space travelers and some nonsense about perversion of the concepts of the original franchise. As much as any film in recent memory, those of us who admire “Alien: Covenant” seem to be seeing a different film than those who hate it—like two people looking at the same ink blot and coming up with completely different interpretations. Personally, it’s a film I admire more each time I watch it (and that I suspect will be held in high esteem in about a decade as is often the case with films like this one). It’s daring, philosophically dense, thematically complex, and the degree of craft in the movie is almost overwhelming. Even the film’s detractors often opened with “It looks great, but …” as if “looking great” was easy or common. It’s not and it’s not. As he did in “Prometheus,” Scott is exploring the eternal question of mankind—the question of creation. If God made man, who made the Alien? And he’s playing with the concept of evolution from the opening scene, in which David (Michael Fassbender), a creation, realizes that he is a superior model of his creator, Weyland (Guy Pearce). In his commentary on the recently released Blu-ray, Scott offers insight into the end of this scene that I didn’t catch the first time. After the realization that his creation is inferior to him, David still obeys the order to get Weyland tea, even though the carafe is right next to his master. As Scott points out, this proves that David can be political as well, hiding his true, logical feelings, and that makes him even more dangerous. The commentary track is full of insight into the making of "Covenant." Right from the beginning, Scott affirms the suspicion that every decision in his filmmaking is carefully considered, saying over that first scene, “None of this is by accident.” Scott can get a little recap-heavy—we don’t need someone to describe what we’re watching—but there are wonderful details and anecdotes sprinkled throughout, such as when he describes “Alien” as being so long ago that it doesn’t really feel like his anymore, explains how science & mathematics can be art, and tells the story of when he first saw Giger’s designs. Scott does reveal in his commentary that the final version is only about 15 minutes off his script, so you shouldn’t be hoping for any sort of “Blade Runner” or “Kingdom of Heaven” radically-recut Special Editions any time soon. And the 17 minutes of deleted and extended scenes make it even clearer that the theatrical version of “Alien: Covenant” is the final director’s cut. The vast majority of these are “extended scenes,” longer versions of what’s already in the film, often just by a line or two. There are a few character beats—Walter gives Daniels weed when she’s grieving her husband, Walter talks to mother about whether or not music facilitates plant growth—but it’s primarily just extensions. The most notable deleted scene involves a flashback in which James Franco has a scene with Waterston, and that may have shut people up surprised that one of our most eccentric actors essentially took a cameo role. 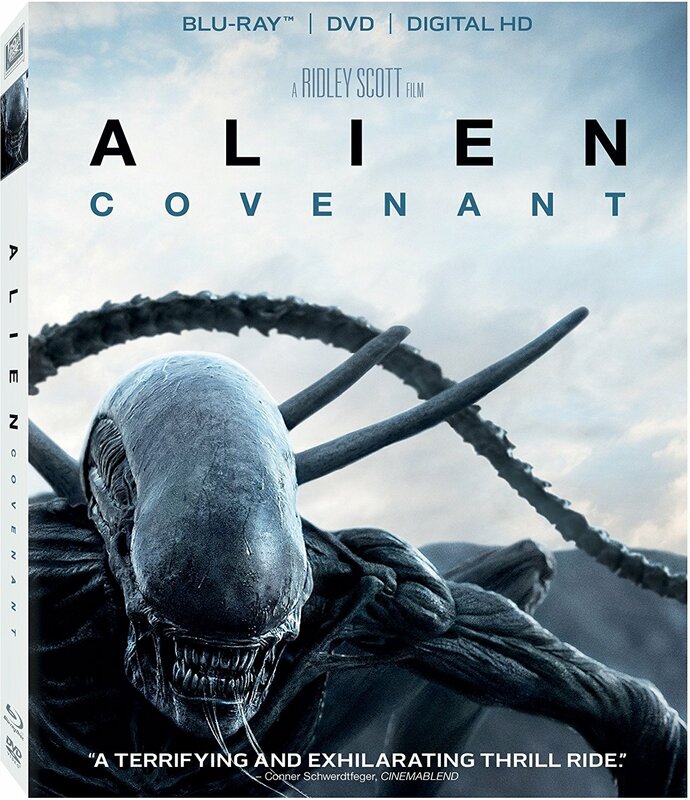 Get your copy of “Alien: Covenant” here.